Elizabeth, the stylish blogger behind Pretty Pink Tulips, discovered Flytographer a few months ago and shared her find with her readers, stating that she didn’t yet know where or when, but she was using us on her next trip! 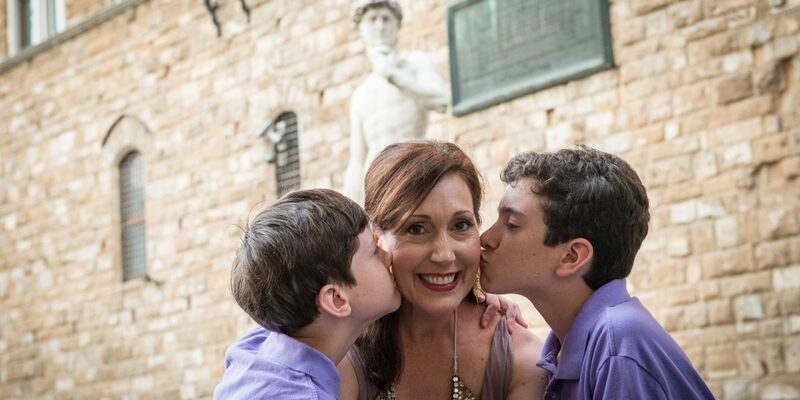 We didn’t have long to wait – she booked us for a family shoot in the beautiful city of Florence. Thank you for letting us capture your gorgeous family, Elizabeth—we can’t wait for your next trip! Read more family vacation stories here. Please share using the Share Buttons below.